Mixing prints is just an everyday occurrence for me. I can't get enough of it. 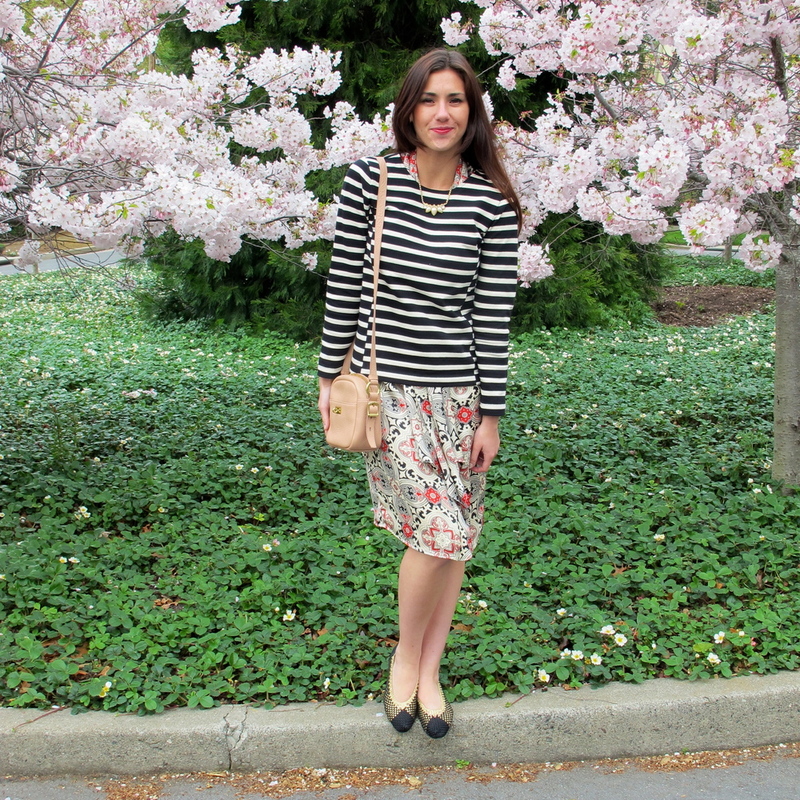 Today, I mixed this gorgeous paisley-esque printed dress with a striped sweater. It's fun and different. The black stripes are a bold statement with the classic print of the dress. Since these colors are all very natural (with the exception of ruby running through the dress) this somewhat wild combination appears subtlety mellow. I love this dress from Jigsaw. It is so comfortable and has an effortless elegance. The draping of the dress combined with the shawl collar creates a beautiful silhouette. The collar just barely peeks out from underneath my striped sweater. This dress is a great piece solely by itself, but the weather needs to get a bit warmer before that happens! All in the details, always. I love this vintage necklace that I recently got from my grandmother. It has this bygone essence that makes it feel so special. My flats are also a vintage treasure. I love the woven texture and the metallic detail just makes them perfect. 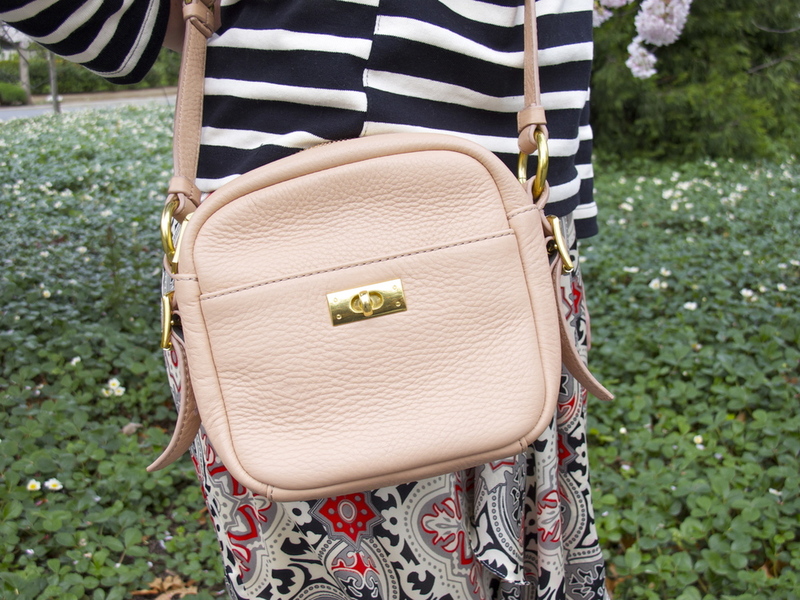 Spotted again, my mini bag from J.Crew, which is my ultimate spring crossbody. It's just too cute, and its neutral blush tone allows it to practically go with anything.